Unryu Kuro was a legendary sorcerer/ninja who was able to conjure dragons. In this version, he wears some Western clothing and carries a gun. 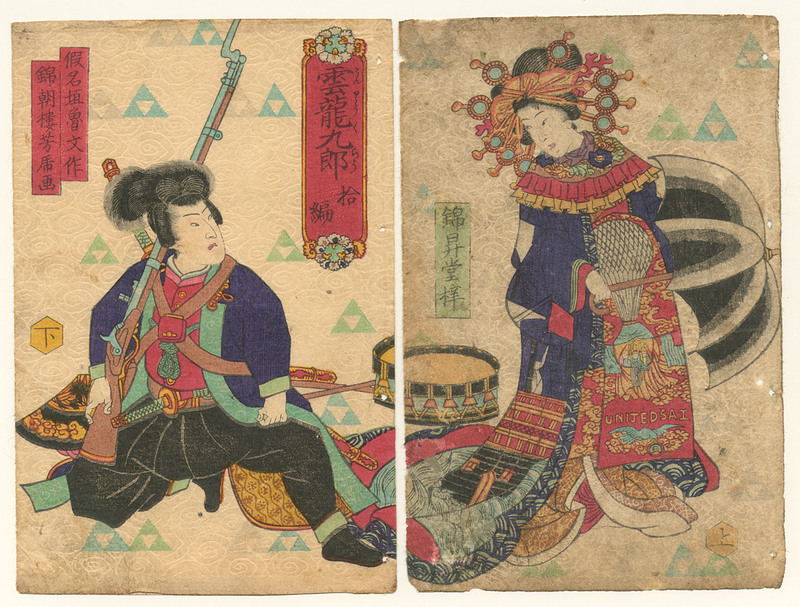 The woman carries a Western style umbrella and is wearing a kimono with a black ship design. Her obi has some writing in English - United sai (probably United States) - and has a design of a hot air balloon.